I began excavating a couple terraces this spring. I have this great south-facing slope and I’ve imagined growing grapes there since I first saw the property. The terraces are pretty humble at this point. I’ll write more about them later. I planted the concord grapes on one level and the muscadines on the next one down. 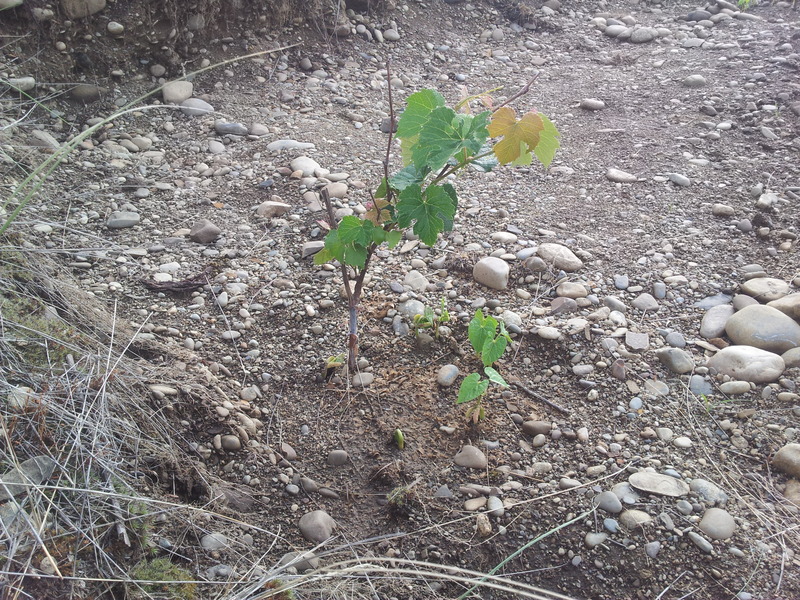 I lost a lot of them to late frosts but still have 10 good vines. The above pic is of a concord. 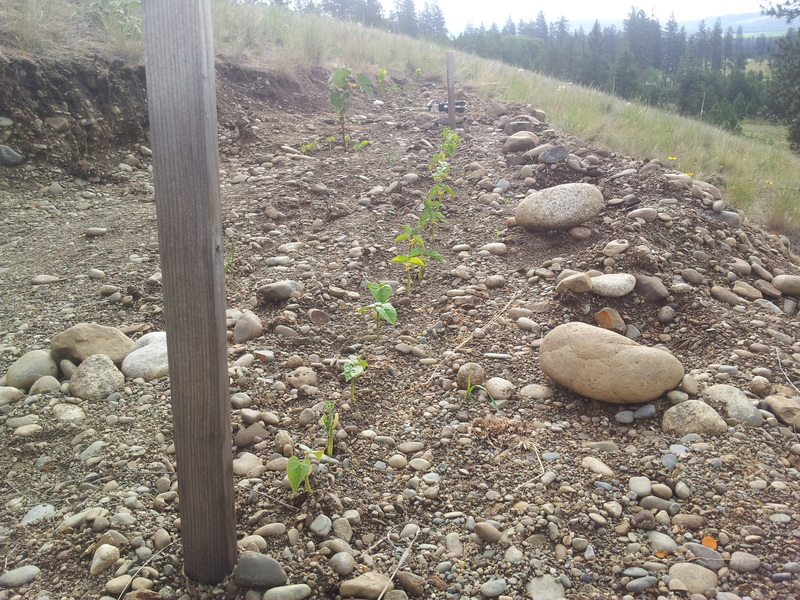 I planted bush beans around all of the vines. I figured the beans’ nitrogen fixing capabilities would help the grapes. I also added a a row or two of beans on the front of the terrace. The grapes seem to be flourishing. The concords are producing big, dark green leaves and the muscadines are vining out nicely. 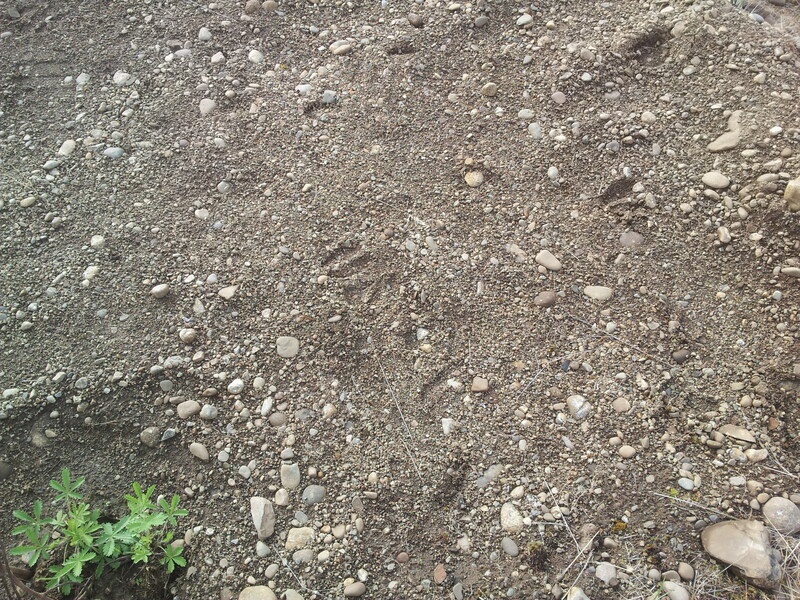 Deer prints next to the grapes. Nothing was damaged though. I’m looking at making deer repellant. I found a recipe on this site but I’m going to do more research. This entry was posted in Plants, Shrubs and Trees and tagged beans, concord, deer, grapes, muscadine, nitrogen fixing, repellent by admin. Bookmark the permalink.